Unlike our Sun many stars are not an only child but have another sibling to grow up with. These star pairs are known as "binary systems" and their gravitational attraction for one another keeps them in a circular dance about their common centre. Some astronomers specialise in studying these duos, known more formally as "double stars", and we were very fortunate to have as our visiting speaker Bob Marriott who is an acknowledged expert in the history of the subject. 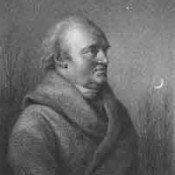 Double star observations began in earnest with William Herschel who, in his systematic stellar observations, catalogued many double star systems. In fact he was the first person to show that Newton's Laws of Motion applied to objects beyond the Solar System. He was not interested in double stars per se, though, as his primary mission was to determine a star's parallax or how much a star appeared to move in the sky as a result of the Earth's motion around the Sun. The first proper study of double stars was done by Wilhelm Struve from what is now Estonia back in 1823. Whilst he was mapping the northern skies James Dunlop began looking for doubles in the southern skies and was soon aided in the task by William's Herschel's son (John) at the Cape of Good Hope. John Herschel soon clocked up an impressive 2,000 southern doubles. To measure the separation of the two stars the early astronomers used a micrometer. The reference point from which to measure the separation was a grid of fine wires across the telescope's eyepiece. This was often made of spider's silk as it was fine yet extremely strong. One of the best known double stars is Sirius, which also happens to be the brightest star in the night sky. As the major star of the "Big Dog" or Canis Major constellation, it is also known as the "Dog Star". It is one of the closest stars to Earth and can be seen from every inhabited region of the planet. In 1844 Friedrich Bessel deduced that Sirius was actually a binary star system and then 18 years later Alvan Clark discovered its companion called Sirius B or "The Pup"! It takes about 50 years for the two stars to circle each other, orbiting at twenty times that of the Earth-Sun distance. Later on, in 1915, astronomers at Mount Wilson Observatory found out that Sirius B was in fact a white dwarf, the first star of that type to be discovered.